Slip and fall accidents are a common occurrence in Ontario, with the climate in the province liable to change with no notice, residents of London, Fergus, Gloucester and Belleville can get seriously injured as a result of a slip, trip and fall. Sometimes a lack of adequate property maintenance or the absence of signage designating a work or construction zone can cause an unsuspecting person to seriously injure themselves through no fault of their own. Because slip and fall injury claims are very complex, it is important to have an experienced personal injury lawyer on your side. There may be some investigative work required in order to identify the parties responsible for the accident as there may be numerous people whose combined negligence resulted in the unsafe circumstance which led to the injury. Additionally, there may be strict time limits applicable to your slip and fall claim, in certain circumstances the limitation may be as short as just ten days after the passing of which the claim becomes statute-barred and the injury victim is left unable to pursue legal action. 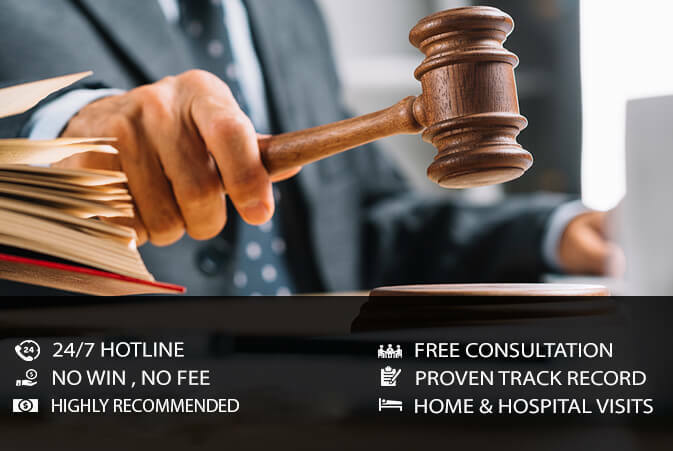 At EBPC Injury law our experienced personal injury lawyers will protect any time limitations, identify all responsible parties and resolve any potential liability disputes in order to ensure that you receive the compensation that you deserve. If you or a loved one became the victims of a slip and fall accident in Fergus, Gloucester, London or Belleville, contact the legal team at EBPC Injury law. We will provide you with a free consultation and advise you of your rights and options. We have won countless cases all over the province of Ontario and can help you and your loved ones. We will ensure that you receive the compensation you are rightfully entitled to by law. Your rights are our passion; call us today to experience the EBPC Injury law difference. You don’t pay unless we win your case.